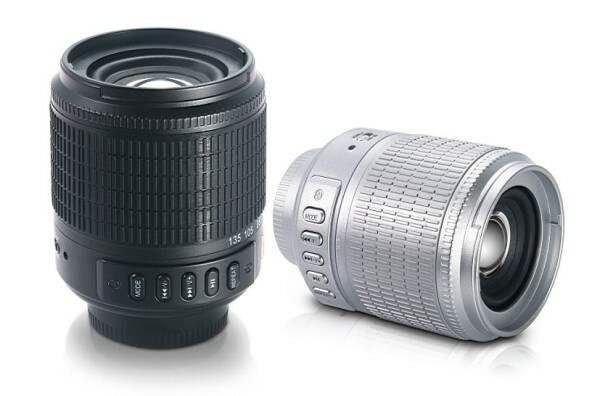 Photography geeks are never satisfied with only coffee lens mugs, that's why this outrageously bad sounding single eBay speaker made to look like a Nikon 55-200mm lens would make a great stocking stuffer for the Holidays at around $20. It will probably alienate your Canon shooting friend too. You can grab this Nikon speaker lens of a knockoff in the traditional black or opt for the more ridiculously looking, extravagant silver painted one if you want to be different. Want the lowdown on specs? It's packing a built-in rechargeable battery that's charged using a USB cable, micro-SD memory card support, 3.5mm audio output and playback control buttons. Trust us when we say this isn't going to sound any better than your iPhone's speaker.